You might have come across several utilities which allow you to mount ISO, MDF, etc files into virtual drives. Today, I’m going to speak about yet another utility known as Pismo File Mount which allows users to mount files on to virtual drives. So what’s so special about this software that makes it different from others? Well, you can even mount ZIP files into a virtual drive! Pretty cool isn’t it? Mounting images into a virtual drive using Pismo File Mount is pretty easy. All you need to do is first download Pismo File Mount and then install it. 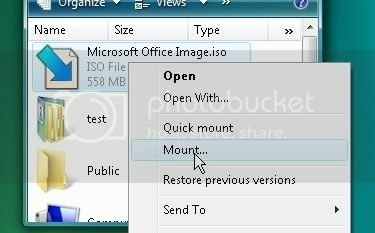 Once done you can easily mount any ZIP or ISO file into a virtual drive by just right clicking on it and selecting Mount or Quick Mount from the context menu. You can also launch Pismo File Mount first and then browse for the files you want to mount. Once the file is mounted, you can easily view files in Windows Explorer. You can also set read/write or read only access to the archived files.